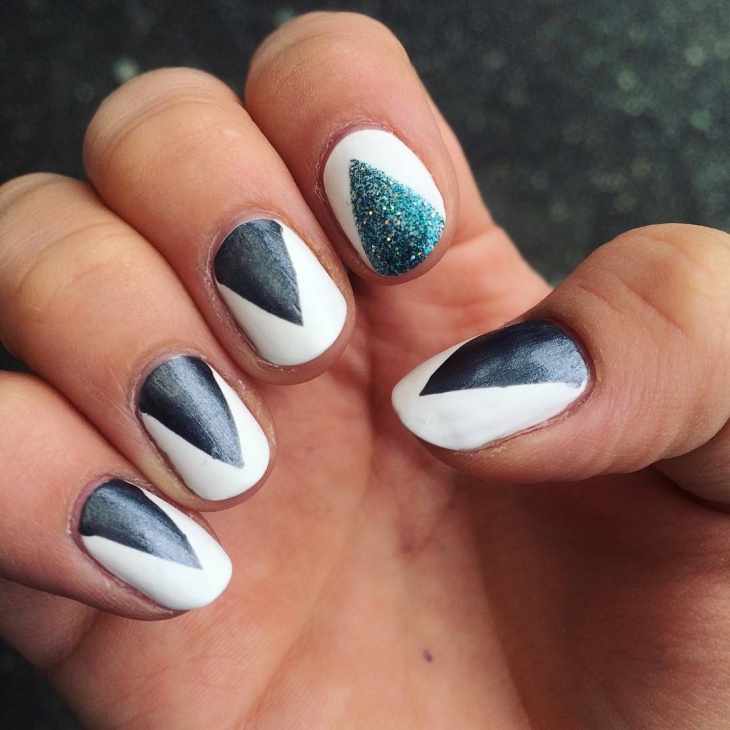 Two-tone nails are in fashion right now and we think they look stunning. The contrasting colors, if used rightly can look radiating and you will definitely stand out in a crowd. This is a very bold step to go ahead with and not many people do it but we suggest you do after looking at the designs we have found for you. If you look at the sunset closely, it’s never orange and yellow; it’s more of yellow and pink. The sky mostly being pink and the view is awesome. That’s exactly what we think about this design. 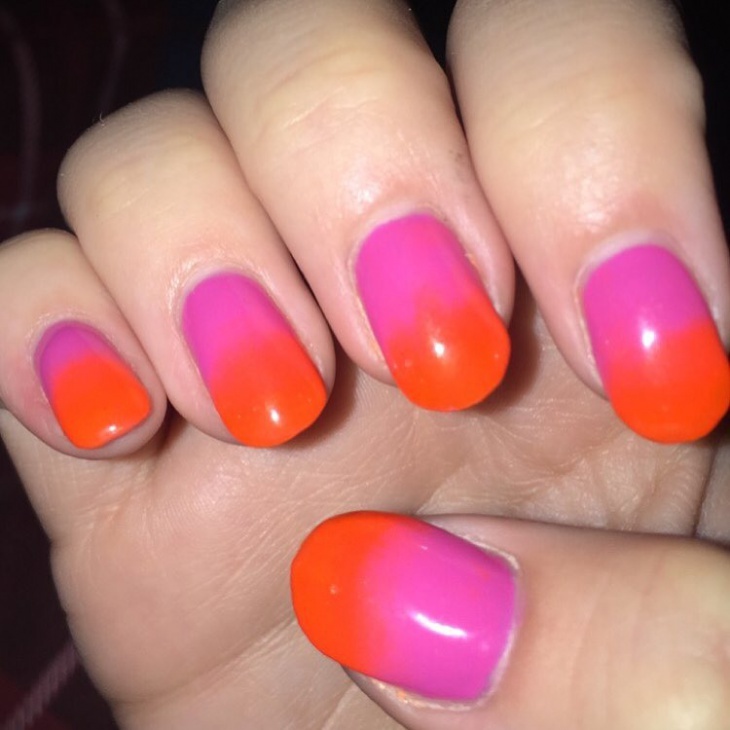 The combination is just like the sunset, perfect. 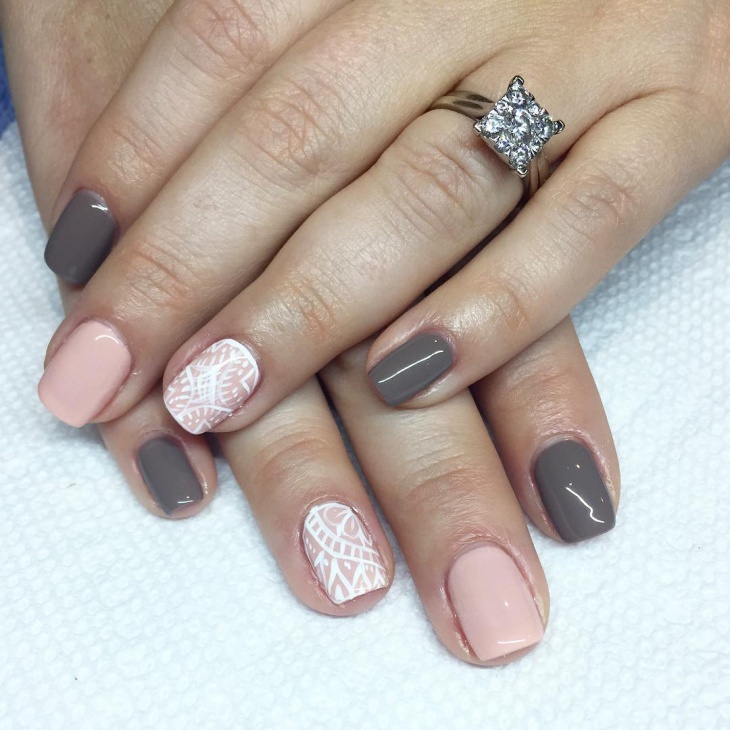 We love the design done on it, it completes the entire color combination. 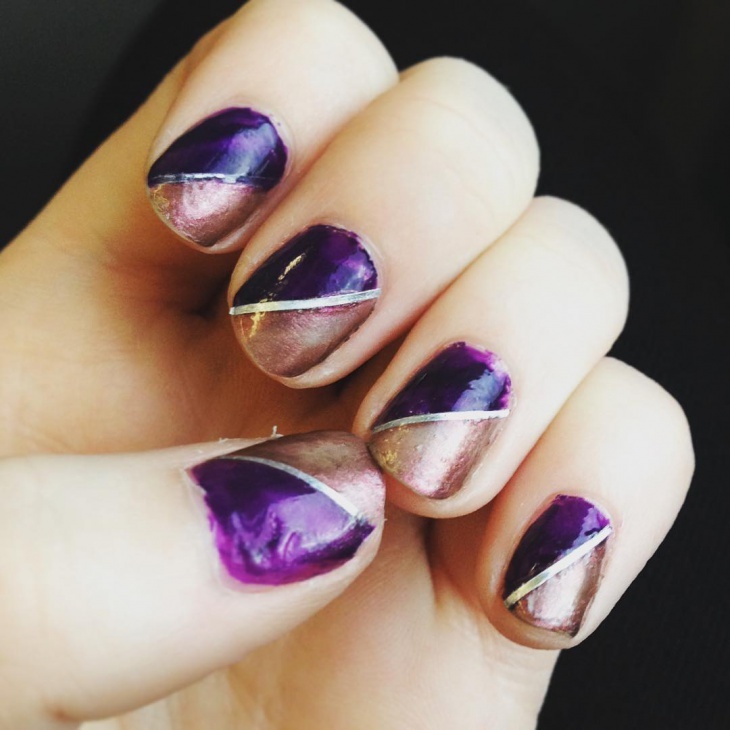 Glitters will make your nails look lustrous. 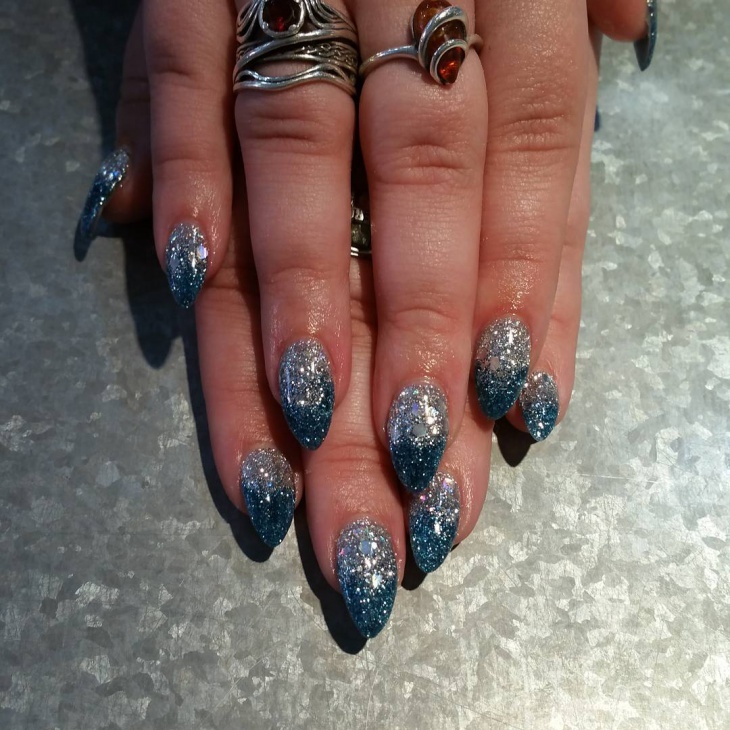 With this blue and silver glitter combination, your nails will be radiating. This look can be carried out perfectly during a party or some big event. 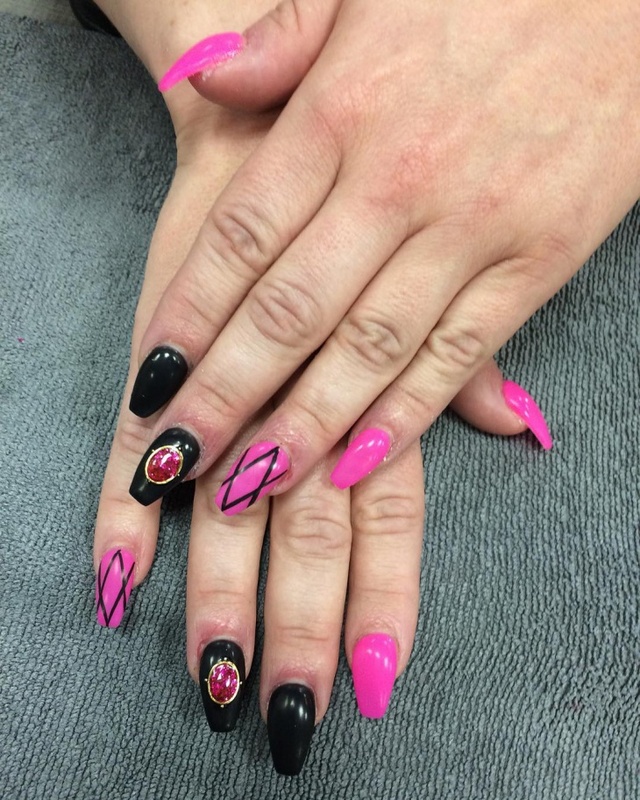 Not only your dress but your nails will also be gleaming and grabbing all the attention. 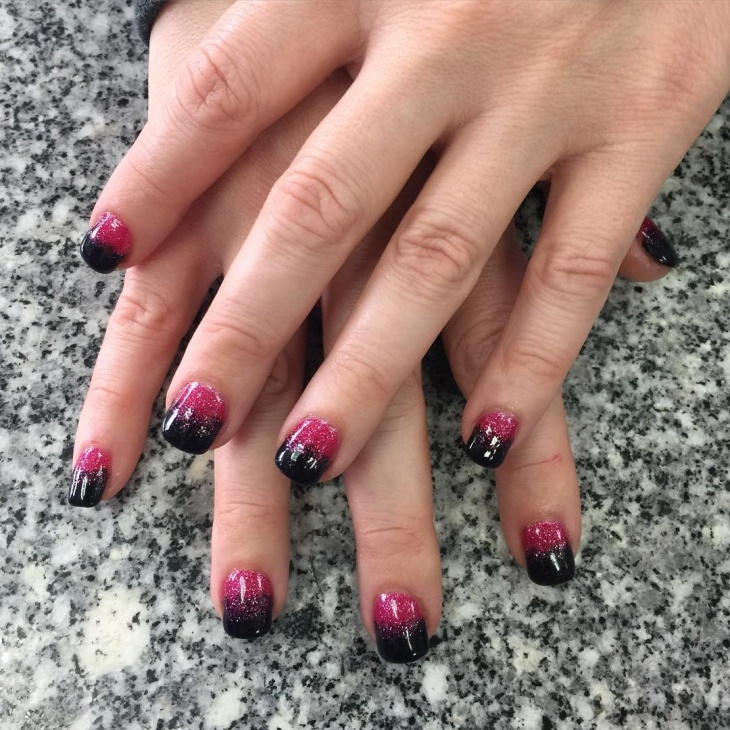 We have always favored the color pink, but black is involuntarily been our favorite and the two together can only be called as the most eligible pair. 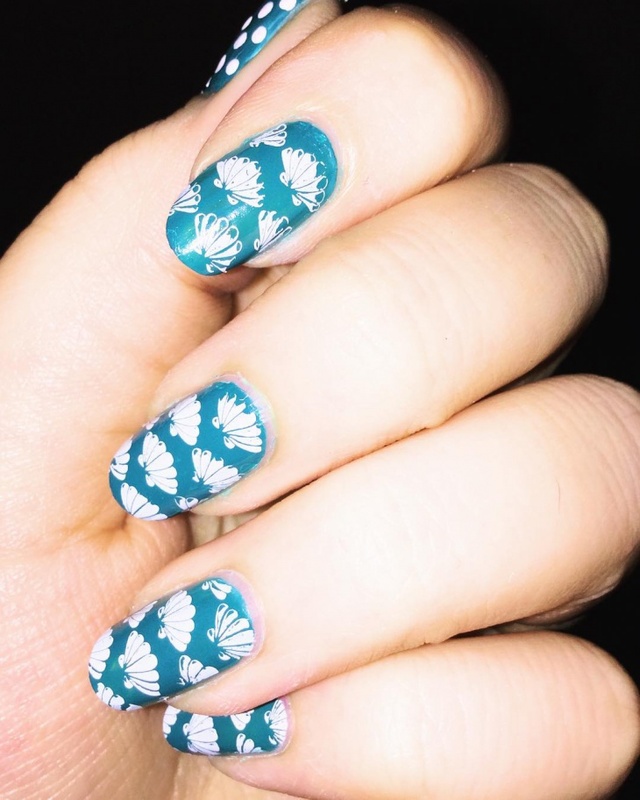 There are designs done onto the nail paint and every design looks nice in its own way. This is a simple design which looks very classy. 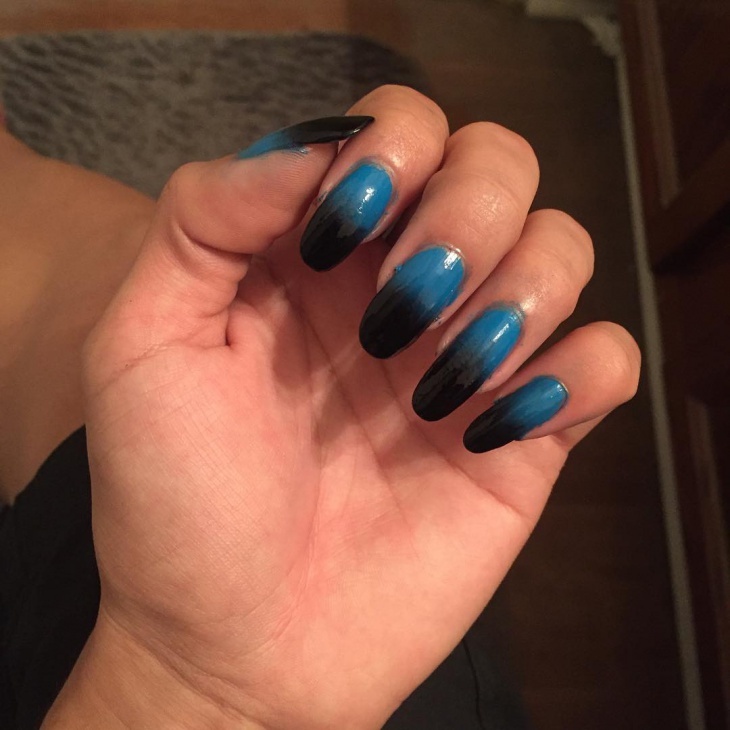 The nail tips are painted black and white whereas the overall nail design is plain and simple. The silver tinge is given to it just makes it look exclusive. Mint green is such a fashionable color; we always look out for designs with this color and see how fabulous they look here. 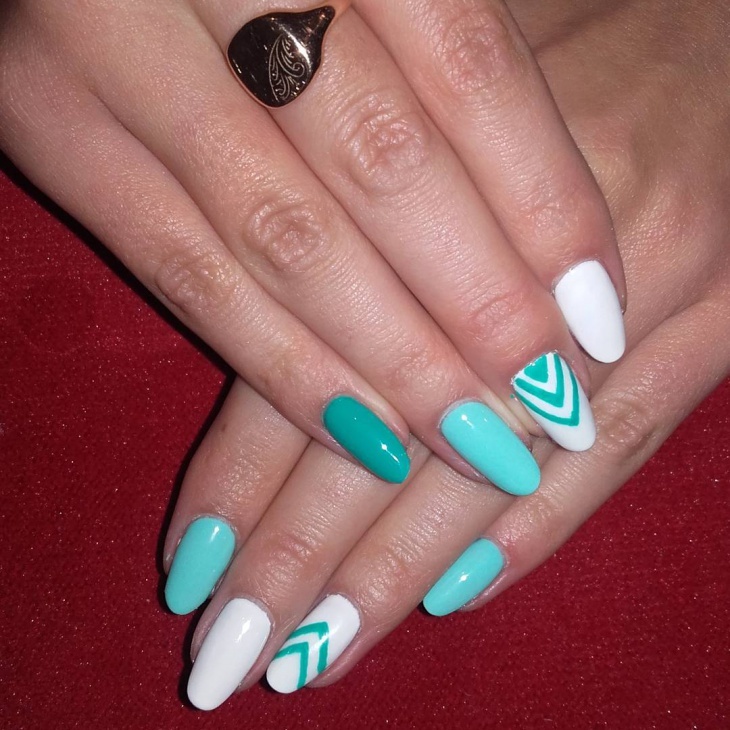 The varied mint green color and white makes your nails look polished and glossy. 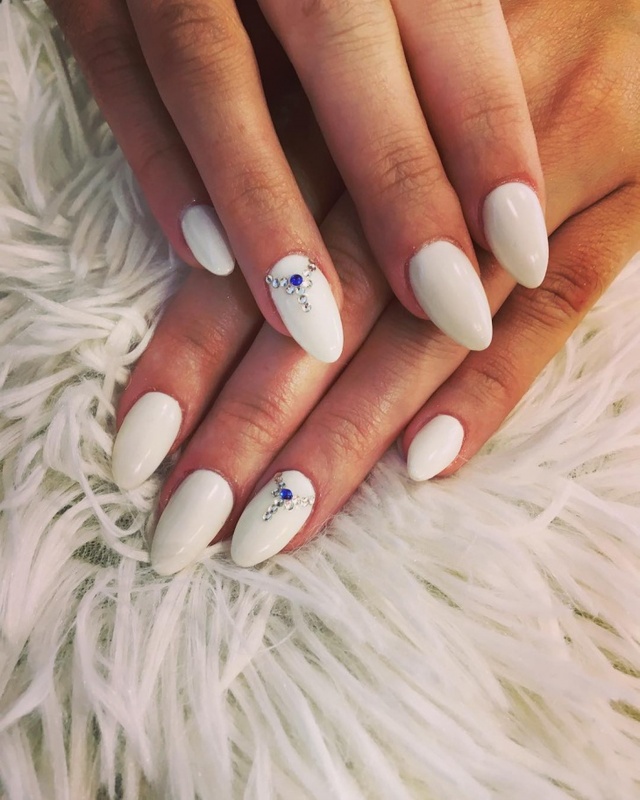 We think white nails are in-vogue. They look classy and mod. The stud added onto it only adds more flavor to the design. This is perfect for a party or any big event. 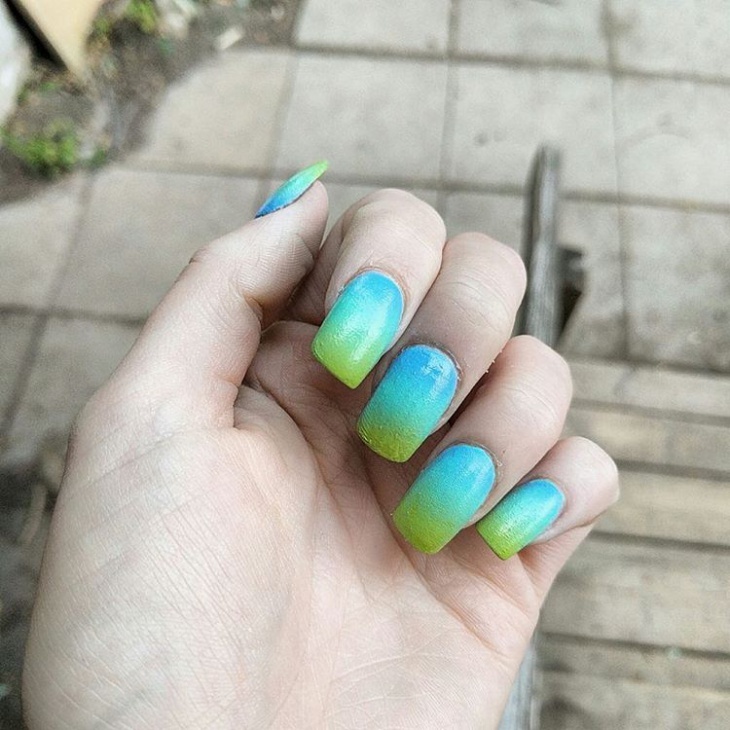 You will stand out and grab so much attention with nails like these. This design is completely cool and mod. 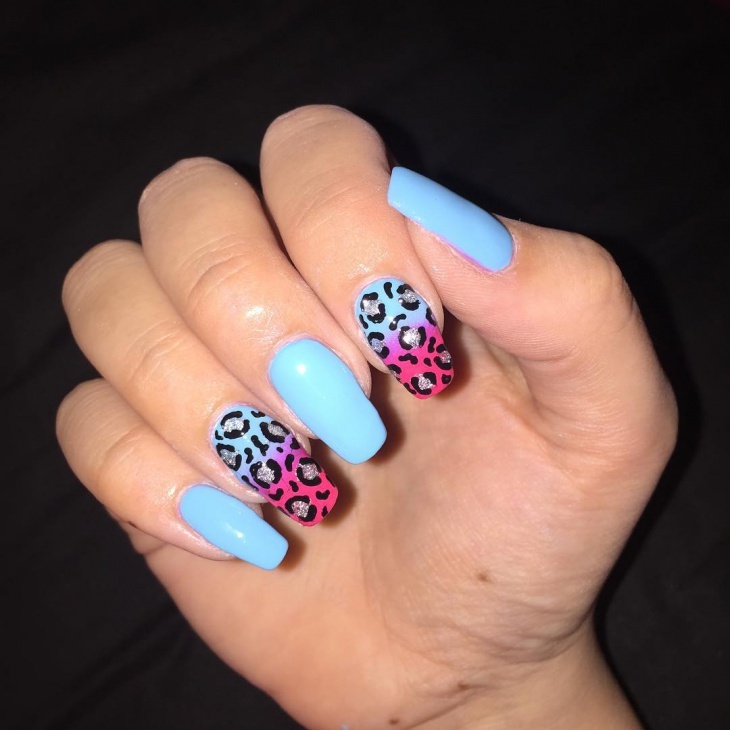 The leopard print design has always been in fashion and would never get outdated. Leopard print designs give out a very sharp and sensuous look and feel. 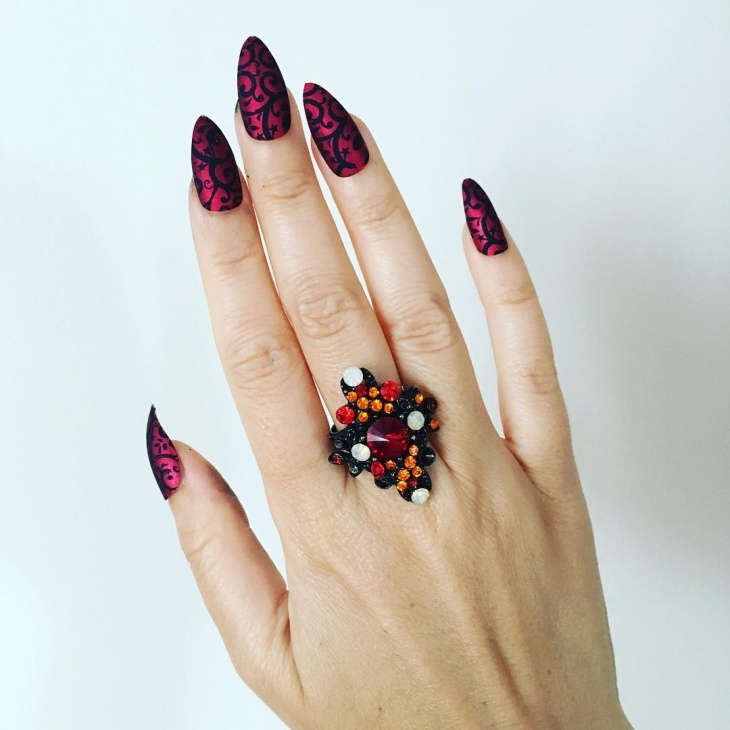 This design is alluring and we think you should try it on. Well the sunset falls upon us again. 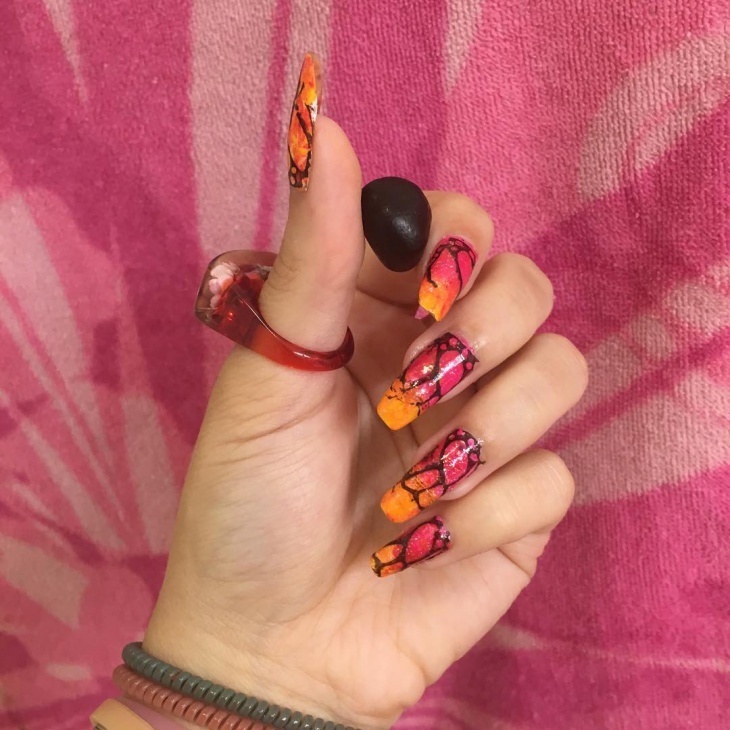 This beautiful duo will make your nails look dazzling and they are also very pleasing to the eyes. You can carry this look out even with your everyday outfit. 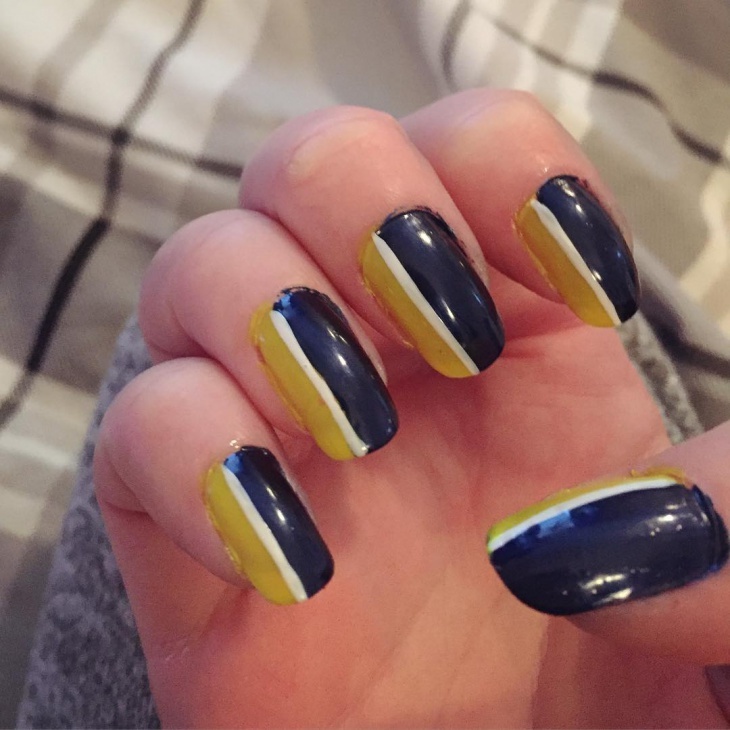 These nails are definitely on fleek. 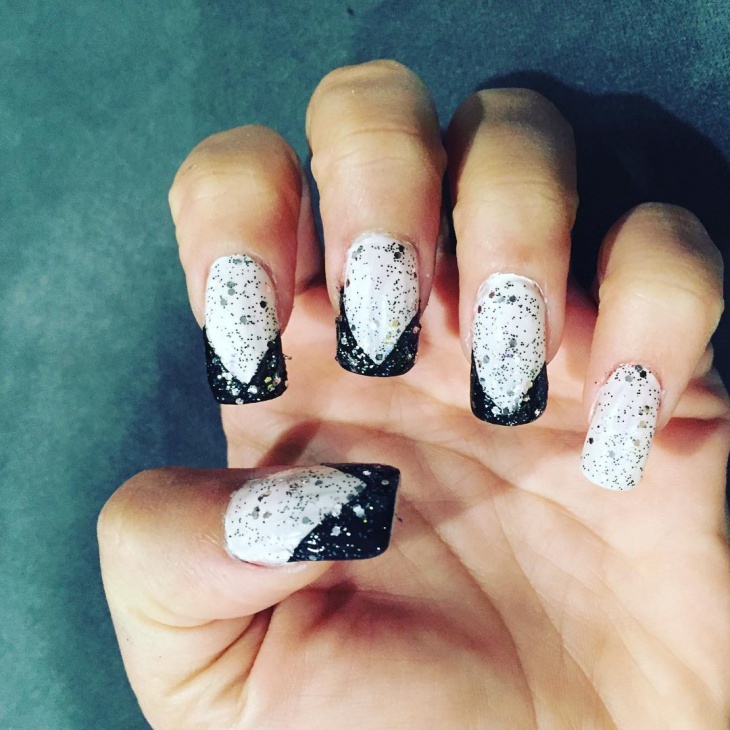 The white nail paint with matte black is a beautiful contrast and the one nail which has glitter onto it is perfect. Overall the combination goes with each other and they all look visually appealing. If you want to experiment with dark colors on your toes, this has got to be the one. This color according to us is graceful and looks very elegant. 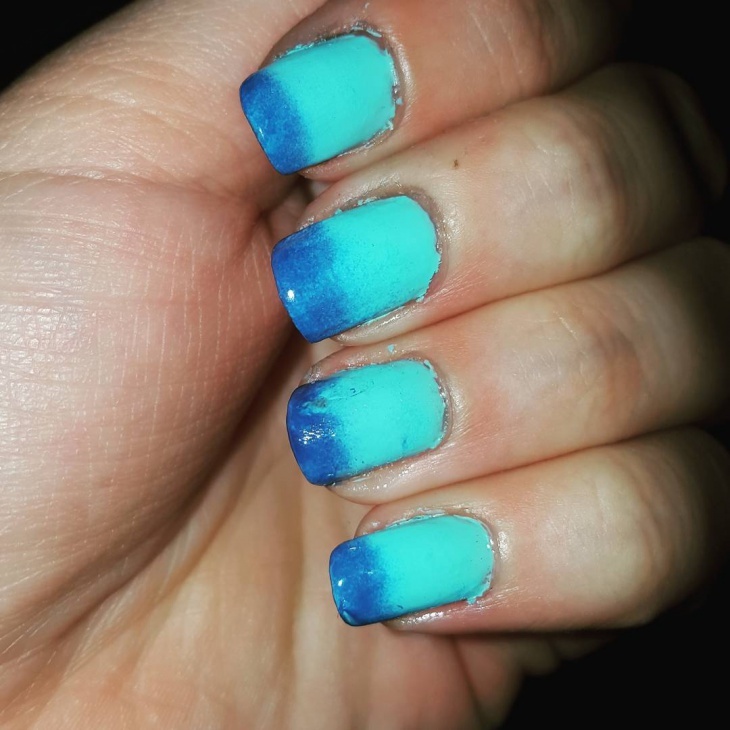 You can make it a two tone design by adding a glitter line on the nail paint. This way the design looks modern and splendid. These are some two-tone designs that we loved and would look good on anyone.